Mashpee sits on the western side of Cape Cod in Barnstable County. It is bordered by Sandwich, Falmouth, and Barnstable and sits on the Nantucket Sound. Mashpee is made up of multiple census-designated places - Mashpee Neck, Monomoscoy Island, New Seabury, Popponesset, Popponesset Island, Seabrook, and Seconsett Island. Mashpee is the most populated in Mashpee and New Seabury is a premier Summer destination. Mashpee is home to the Mashpee National Wildlife Refuge. This land is made up of 335 acres, which includes salt water and fresh water marshes, cranberry bogs, and Atlantic white cedar. Currently, the protected land is close to the public as the refuge staff studies and until the conservation plan is complete. There are many other ways to enjoy the natural beauty of Mashpee and Cape Cod. Check out South Cape Beach State Park or wander through Lowell Holly Reservation. For all of your shopping needs, look no further than Mashpee Commons. Enjoy some of the Cape's best retail shopping in a coastal setting. From big brand shops to small, locally owned boutiques, there is a spot for everyone. There is also a great selection of dining options, a movie theater, and other fun entertainment for late night or rainy day fun. Contact us for any questions or additional info about living in Mashpee. Welcome to Falmouth! Located in Barnstable County, Falmouth sits on the Nantucket Bay and Buzzards Bay. The places that make up Falmouth are East Falmouth, Falmouth Village, North Falmouth, Teaticket, West Falmouth, and Woods Hole. Woods Hole is known for its ferry access, the Steamship Authority, to Martha's Vineyard and Nantucket. Though Cape Cod is a known Summer destination, Falmouth is a year-round home for many residents. There are four elementary schools, two middle schools, and Falmouth High School. These are Falmouth public schools, but students may choose to attend, if accepted, Falmouth Academy, a private institution. There is much to keep busy with in Falmouth! From a vibrant arts and theater community to an array of outdoor activities. Pedal down the Shining Sea Bikeway for beautiful beachfront views, discover Nobska Point Lighthouse in Woods Hole, learn about local sea life at the Woods Hole Aquarium, and, of course, walk or lounge on one of Falmouth's many pristine beaches, including Old Silver Beach. Falmouth Village is a historic area with a great downtown scene. Home to many unique, and locally owned, shops, restaurants, and business, this downtown hub is a great spot for everyday fun. Falmouth is a laidback coastal town and its downtown scene reflects this relaxing attitude. 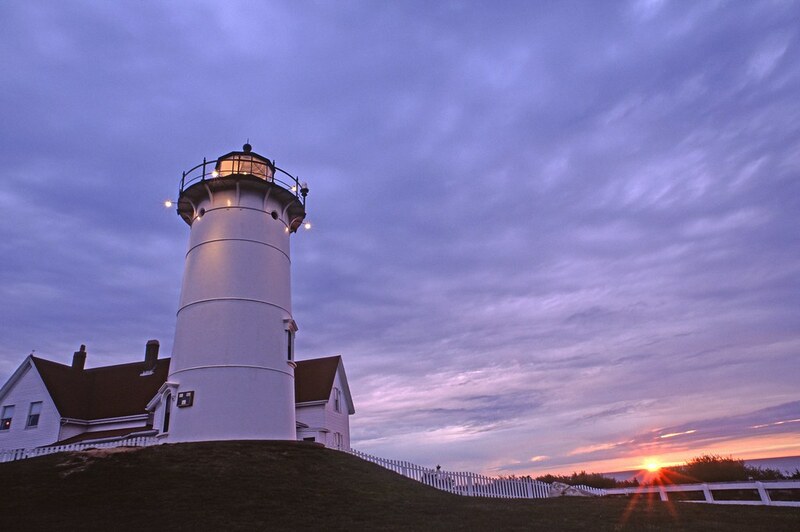 For additional things to do in Falmouth & Cape Cod, click here. Contact us for any questions or additional info about living in Falmouth. The town of Bourne is a medium-sized rural community at the gateway to Cape Cod. The Cape Cod Canal bisects the community, with both the Bourne and the Sagamore bridges and the lift railroad bridge located in Bourne. The canal is known for its sport fishing and for carrying ships flying the flags of all nations. The Bourne Scenic Park campground lies beneath the Bourne Bridge and is a great place to enjoy the canal. Bourne has numerous quiet harbors and inlets for boating and swimming, and its shellfishing is particularly excellent. Begin your real estate search in Bourne, Cape Cod. Contact us for any questions or additional info about living in Bourne. Known as the first Cape Cod settlement, Sandwich is a historical haven with miles of shoreline. Residents and visitors enjoy the natural landscape including 6 beaches, salt marshes, forest, and coastal marshes. Sandwich is a beautiful place to discover where Cape Cod first began. From the Sandwich Glass Museum, with pieces dating back to the 1800s, and the Hoxie House, the oldest house on the Cape. For those who enjoy the fresh air, Sandwich allows for prime kayaking, fishing, biking, walking, and more. The Sandwich Boardwalk is one of the town's most popular attractions and provides beautiful scenery for year-round walks out to the Bay. Sandwich is home to many locally owns shops and businesses, making for a unique shopping experience. Find custom jewelry, one-of-a-kind paintings, retail boutiques, books, and more. The same can be said about the culinary scene. From ice cream shops to upscale seafood restaurants, Sandwich is serving up delicious meals for all to enjoy. The Cape is well-known for fresh seafood and shellfish, and Sandwich is no exception. Residents of Sandwich enjoy the town's Cape Cod charm and easy transportation to surrounding Massachusetts communities, including a quick trip to Boston via car or bus. Children attend Sandwich-operated public schools - Forestdale (PreK through 2nd grade), Oak Ridge (3rd through 6th grade), STEM Academy (7th through 8th grade), and Sandwich High School (9th through 12th grade). Contact us for any questions or additional info about living in Sandwich. Barnstable is Cape Cod's largest community. With Cape Cod Bay to the north and Nantucket Sound to the Sound, Barnstable is a waterfront dream. It is made up of 7 villages, one of which is Barnstable. The commercial and business center of Barnstable is in Hyannis, known for its Kennedy connections and the harborside Walkway to the Sea. Other villages include Cotuit, Osterville, Centerville, West Barnstable, and Marstons Mills. Each village has its own historical and cultural charm and know for their fresh seafood spots, local artwork, and water recreation. From exclusive country clubs to miles of open beaches, Barnstable is has a variety of attractions to keep residents and visitors busy. Popular beaches include Sandy Neck and Craigville Beach. All can enjoy these summer spots and enjoy swimming, fishing, and boating. For a sense of history, check out the Kennedy Legacy Trail. This will take you past the Kennedy Compound, a waterfront property consisting of three homes owned by the Kennedy family. Children in Barnstable attend Barnstable public schools. The high school is Cape Cod's largest serving about 5,000 students. The other public schools include Barnstable United Elementary School, Barnstable Intermediate School (the middle school), and Barnstable High School. Contact us for any questions or additional info about living in Barnstable. Yarmouth has a rich colonial history that is evident in the beautiful architecture throughout town. Yarmouth began as a farming and whaling town and didn't see a change to a resort community until the very end of the 19th century. Yarmouth is made up of three major villages: South Yarmouth, West Yarmouth, and Yarmouth Port. Yarmouth also has a history that is steeped in a love for animals. The International Fund for Animal Welfare is located in Yarmouth. The Edward Gorey House is also located in Yarmouth. The Gorey House pays tribute to the work Edward Gorey did during his life for animal welfare. You can tour the house April - December. Learn about the pirates who sailed off the Cape Cod coast at the Whydah Pirate Museum. Touch real-life pirate treasure! Yarmouth has many unique shops as well as some really delicious restaurants. If you're looking for authentic Cape Cod Clam Chowder, you have to go to The Skipper Restaurant & Chowder House. The Yarmouth House and Captain Parker's are also local favorites. Children in Yarmouth attend schools in the Dennis-Yarmouth Regional School District along with neighboring Dennis. Yarmouth operates two elementary schools for pre-k through third graders, Station Avenue and Marguerite E. Small. Fourth and fifth graders attend the Nathaniel H. Wixon Innovative School. Sixth and seventh graders attend Mattacheese Middle School. Eighth through twelfth graders attend Dennis-Yarmouth Regional High School. Contact us for any questions or additional info about living in Yarmouth. Dennis has classic New England charm, mixed with modern convenience. It encompasses five distinct villages: Dennis, East Dennis, South Dennis, West Dennis, and Dennis Port. Dennis, East Dennis, and South Dennis feature historic architecture from the whaling era while Dennis Port and West Dennis feature tree-lined streets. The Nobscussett Conservation Area provides easy hiking trails and views along the shores of the Bass River. The Johnny Kelley Recreation Area in South Dennis offers a jogging and hiking trails, playing courts, fields, a playground, and more. Stop by the Improper Bostonian in Dennisport for great live music Wednesday - Sunday in July and August. The Cape Playhouse in Dennis has been serving up world-class theater and talent for over 90 years. Referred to as the Birthplace of the Stars, this summer theater has presented a long list of stars including Betty White. If you're looking for delicious food, Dennis has many options available. Stop by the Ocean House, overlooking the Nantucket Sound in Dennis Port, which serves up New-American, Pan-Asian cuisine. The elegant atmosphere is only out-shown by the natural beauty of Cape Cod. Enjoy live music outside on their patio. The Sesuit Harbor Cafe is Dennis overlooks the Northside Marina and Cape Cod Bay. This cash only clam shack serves breakfast, lunch, and dinner in an outdoor dining experience. They are open seasonally from May 1st to Columbus Day. The Red Pheasant Inn in Dennis serves French-influenced American food. Enjoy your meal in a centuries-old barn with fireplace and garden. Since 1977 the Red Pheasant has been a staple of the community. Located in East Dennis, The Marshside offers panoramic views of the Sesuit Creek and serves up fresh, local seafood, meat, and produce. Enjoy local seafood at Clancy's in their casual dining room or on their riverfront patio. Located in Dennis Port on the Swan River, it's the perfect place to enjoy a cocktail at sunset. If you're looking for super casual, quick breakfast and lunch, stop by the Red Cottage in South Dennis. This 1950s style, cash-only diner can get super busy weekend mornings in the summer for prepare for a wait. Cool off with an ice-cream cone on a hot summer's day at Kream & Kone. Originally opened in 1953, Kream & Kone is a West Dennis icon. Not only do they have awesome ice cream, they also serve up some of the best fried seafood. Students in Dennis attend Dennis-Yarmouth Regional School District schools along with neighboring Yarmouth. Pre-Kindergarten through third graders attend the Ezra H. Baker Innovation School in West Dennis. Fourth and fifth graders attend the Nathaniel H. Wixon Innovation School. Sixth and seventh graders attend Mattacheese Middle School in West Yarmouth. Eighth through twelfth graders attend Dartmouth-Yarmouth Regional High School provides a wide range of educational opportunities as well as many extracurricular activities including a first-class music program. Contact us for any questions or additional info about living in Dennis. Harwich is considered to be the birthplace of the cranberry industry. In September they host the Harwich Cranberry Festival, which includes a spectacular fireworks display. Enjoy harbor views and local seafood at Brax Landing Restaurant. Brax Landing has been a Cape Cod staple for decades. Join them for their famous Sunday Brunch. If you are looking for delicious Italian food, head over to Buca's Tuscan Roadhouse. Enjoy traditional Italian cuisine and an extensive wine list. Located in Harwich Port, Mooncussers Tavern is a great place to relax, sip a glass of wine or one of their eclectic martinis while snacking on tapas. Try "the Duke" at Ruggie's if you're up for a challenge! You have 30 minutes to finish the whole plate and an 8oz glass of juice. Only 9 people have ever succeeded. If you win your meal is free, your picture goes on the wall forever, and you get a Ruggie's t-shirt. Students from Harwich attend Monomoy Regional Schools with neighboring Chatham. Monomoy Regional High School is known for its excellent basketball, field hockey, baseball, and softball teams. Harwich is also home to the Cape Cod Lighthouse Charter School is a charter school for middle school children. The Cape Cod Technical School which serves 9-12th graders from all over Cape Cod is also located in Harwich. Contact us for any questions or additional info about living in Harwich. Despite the commercialization that Cape Cod has seen in the last several decades, Chatham still boasts a charming, walkable Main Street. Chatham's rich history can be seen throughout town from its considerable number of 18th-century buildings as well as several lighthouses, including the Chatham Lighthouse, which was built in 1877. Chatham is also home to the Monomoy National Wildlife Refuge. 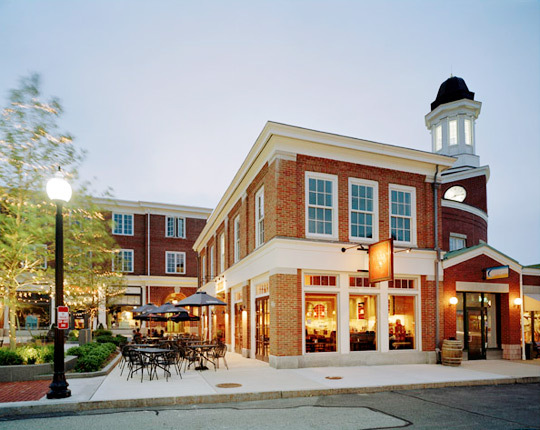 Chatham has a wide selection of restaurants and bars, each offering their own charm. Located in a former church, the Impudent Oyster serves up innovative seafood dishes. This upscale restaurant is usually packed during the summer yet cozy in the winter. The Wild Goose Tavern is Chatham Village's only outdoor dining - if that's not enough to draw you in, their inventive locally sourced menu definitely will. The Red Nun Bar & Grill is the place to go if you're looking for delicious, juicy burgers. Grab a local beer while you munch. You have to see for yourself why locals love this place so much. Even better - if you go on burger night all of their famous burgers start at $6! If you're looking for somewhere that will please everyone in the family, head over to Chatham Squire. They serve up a multi-cultural menu in a casual atmosphere. Occasionally they even present live music. Children in Chatham attend Monomoy Regional Schools with neighboring Harwich. Elementary aged children attend Chatham Elementary School. Middle schoolers attend Monomoy Regional Middle School. In 2014 a new high school was built in Harwich (Monomoy Regional High School). Students can also attend Cape Cod Regional High School. Contact us for any questions or additional info about living in Chatham. Brewster is perfect for anyone who loves quaint and quiet. Old sea captain's mansions can be found throughout town, many of which are now inns. Brewster is truly oozing with history and is known as the "Sea Captain's Town". Nickerson State Park is located in Brewster. Spend the day exploring trails, swimming, or boating. Spend the day at the Cape Cod Museum fo Natural History and learn about the sea life that is natural to Cape Cod. Enjoy three nature trails and a wildflower garden on the grounds. The Cape Rep Theater has the only outdoor theater on Cape Cod. They put on 5 plays from May - November. Since 1948, Cobie's has been serving up delicious, local seafood in a laid back atmosphere. There's something for everyone on their menu from lobster rolls to burgers. Don't forget to save room for ice-cream! Stone L'Oven pizza co. serves up fresh, hand-tossed all-natural pizza. It's a great place for family with kids. The Brewster Fish House is a place you can't miss. They serve up local seafood with a refined twist in a quaint cottage. Children in Brewster attend Nauset Public Schools. Elementary school children attend Eddy Elementary and Stony Brook Elementary. Middle schoolers attend Nauset Regional Middle School in Orleans and high schoolers attend Nauset Regional High School in Eastham. Children as young as toddlers through 6th graders also have the ability to go to the Laurel School, an accredited independent school. For students aged 8 - 22 with developmental delays, trauma, Prader-Willi Syndrome, emotional challenges, and behavioral challenges can attend the Latham School. They focus on highly individualized treatments and learning that benefits both the student and the family. Contact us for any questions or additional info about living in Brewster.